What happens in Vegas stays, in Vegas. 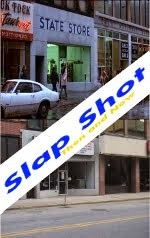 What happens in Flint Michigan doesnt' stay, in Flint Michigan. After the Tomahawks swept the Warriors at home a few weekends ago, the Warriors returned the favor sweeping Johnstown. The first game on Friday saw Johnstown take the early lead when Connor Barnes scored his 3rd goal with Johnstown. The assists went to Shane Bednard and Mitch Hall. The Tomahawks wouldn't score another goal in the game and lost 3-1. The following night, Johnstown buried four goals behind Warriors netminder Robbie Beydoun. The only problem, Michigan, was able to score 9 on Brett Young. 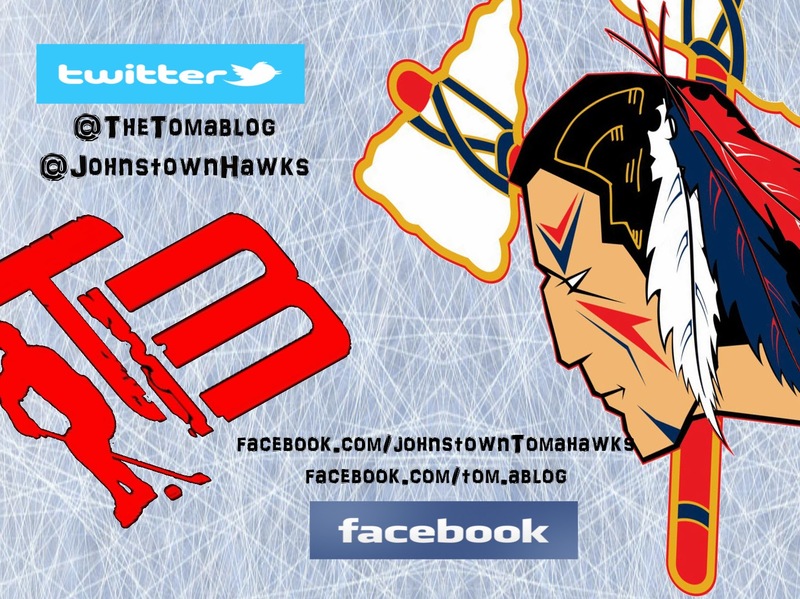 In the 9-4 loss on Saturday night, Johnstown set a Tomahawks' record for most goals allowed in one game. Last years highest was 8 goals, just so happens that it was also vs. Michigan. Coming into the weekend, the Tomahawks and Warriors were tied for second place in the North Division. With the sweep, Michigan now has a four point lead over Johnstown, dropping them to 3rd place. Jonathon Paradise was the referee for both games this weekend, and we have to admit, from the boxscores he did a good job. In total, Johnstown went 2 for 7 on the power play and Michigan was 0 for 3. Shane Bednard had a good weekend again scoring four assists in two games. Bednard now has 46 points (18 goals, 28 assists) in 51 games this season. Bednard now is the highest scoring Tomahawks' player in regular season franchise history. Last year, Cody Gylling led the team with 45 points. In other NAHL North division action this weekend, the Port Huron Fighting Falcons took on the Soo Eagles. Soo won the first game on Friday night, 4-3 in regulation. Port Huron then won on Saturday night 3-1. 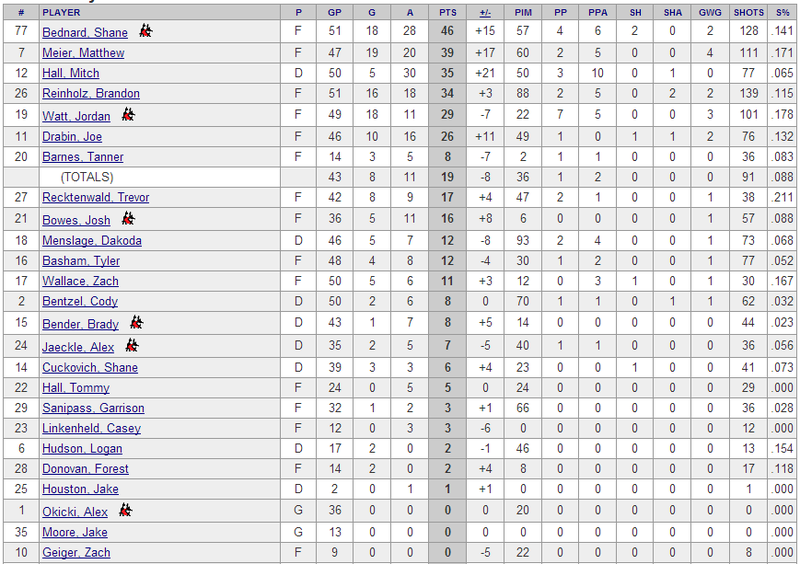 Port Huron still sits in first place with 66 points. Michigan is now in 2nd place after beating Johnstown twice, with 60 points. Johnstown sits in 3rd place with 56 points. Janesville, whom Johnstown faces for the first time this season this upcoming weekend, took on Springfield. Janesville swept the Jr. Blues, 5-3, then 2-0. The Janesville sweep put them into sole position of fourth place, which is the last playoff spot in the north division, with 51 points. Teams can't take it easy though as both Springfield and Soo have 49 points and hope to take the last and possible the 3rd playoff spot. Johnstown will face Janesville this weekend. Johnstown will then head on the road to play Springfield, come home for three against Soo, and back on the road to Janesville for the last two games of the season. Boy it's going to be interesting to see what happens and who misses the playoffs this season.